I am having such a blast with this bird blog that I decided to start a “bird of the week” category. This will give me a chance to share a few more photos (because after all, what fun is it to take a picture and then not share it with anyone?) and perhaps to convert a few more of you to the addictive, but therapeutic hobby of backyard bird watching. 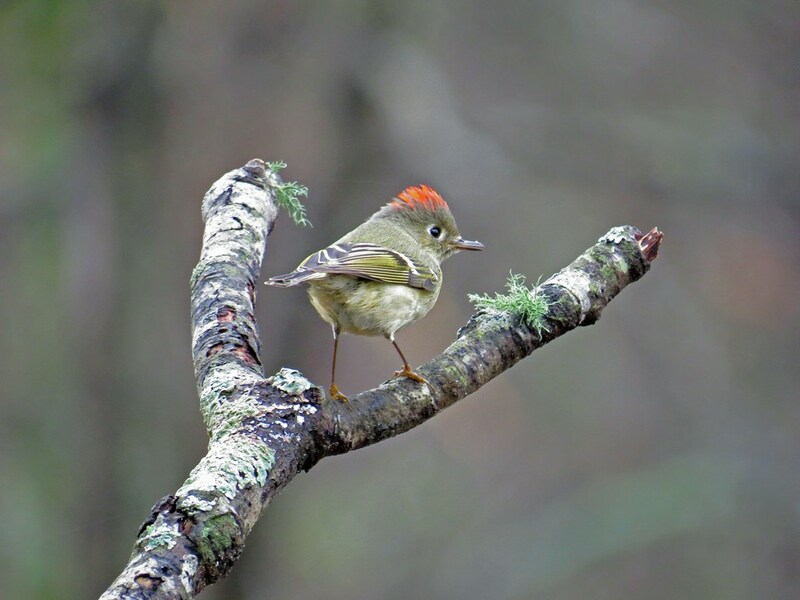 The honor of being the first “bird of the week” goes to the Ruby-crowned Kinglet. I know I mentioned him in a previous post, but I find this little bird simply delightful. The one in this picture is a royal flirt! Each morning, when I go to put out fresh seed, I make a clicking sound (I know, that’s strange) and he has gotten so he will show up when I “call” and flit about displaying his crown while I fill the feeders. This past week he has eaten out of my hand twice. How cool is that? Kinglets are some of the smallest birds in North America. They are olive-green above, with a creamier underside. Their white eye ring makes them look a bit like a cartoon character. The male Kinglets have “ruby crowns” that they display when they are agitated or flirting with the females. If you see a small bird in your backyard that can’t seem to sit still for a second it is probably a Kinglet. Watch for them in the winter because in the summer they will head back north. 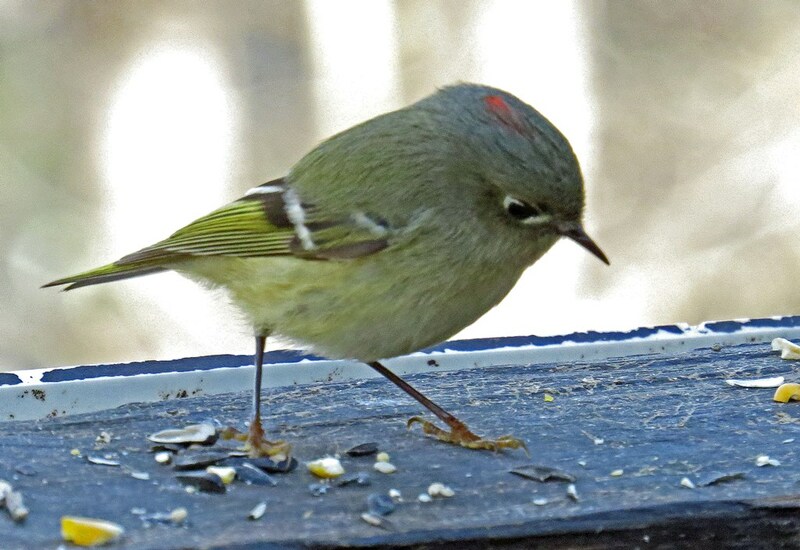 This entry was posted in Bird of the Week and tagged backyard bird watching, bird photography, ruby-crowned kinglet, wildlife. Bookmark the permalink. really nice photo of a really nice little guy. I have been trying to get a good photo of this bird for sometime now. Very elusive, will not sit still very long and usually high up in the trees or down in the bushes.